A coalition led by the state teachers union has filed another lawsuit challenging Washington’s charter school system. It’s another education distraction the state doesn’t need. DISAPPOINTINGLY, the state teachers union is trying once again to deprive students not well-served by traditional schools the chance to thrive at a public charter school. The Washington Education Association is among a coalition of groups that filed another lawsuit last week trying to kill Washington’s fledgling charter schools. This is the second legal attempt to thwart the will of the voters who approved Initiative 1240 in 2012. A year ago, around the time school started for the year, the state Supreme Court overturned the charter initiative as unconstitutional, saying the schools could not receive money from the state common-schools fund because they were overseen by appointed boards, rather than elected ones. That decision put the nine schools for nearly 1,200 children in jeopardy. But the 2016 Legislature came up with a remedy to solve that problem by changing the funding source. Now comes the second lawsuit, filed in King County Superior Court on Wednesday by a coalition including the teachers union, some parents, school administrators, union groups and other civic organizations. Charter-school advocates say the lawsuit is an intimidation tactic designed to scare students and their families. 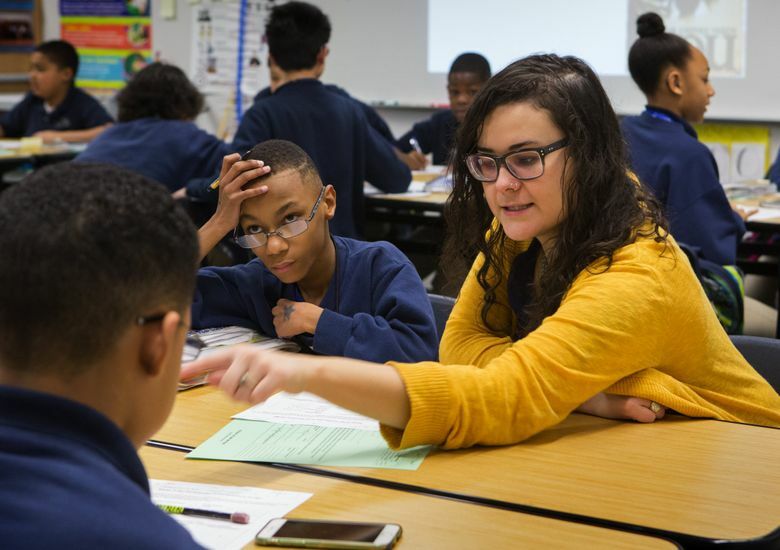 Washington’s nascent charter-school system needs a chance to grow and thrive. Children in high-poverty areas need the kind of alternatives that these new public schools offer. Charter schools have more latitude to try new things — from releasing high-school students into their communities for special projects, to longer school years and more class time for kids struggling to catch up with their peers. All schools in Washington state could someday benefit from the ideas incubating in charter schools. The eight remaining charter schools have been open only for a year, but initial reports from students and their parents are good. Hard data will come in time. The coalition that wants to sink charter schools says the Legislature’s replacement law also violates the state constitution by sending any state money to charters because they are not accountable to Washington voters through an elected school board. The lawsuit is an unnecessary distraction from the real work lawmakers should be doing in Olympia: trying to figure out how to fully fund basic education in our public schools, as demanded by the Supreme Court’s McCleary school-funding decision. Teachers-union leaders like to say the charter schools are the distraction, but they wouldn’t be if the state agency set up to monitor their progress could continue to do so. The Washington Charter School Commission has already shown it is capable of close scrutiny on behalf of taxpayers. The public should, of course, continue to keep a close eye on these new public schools to make sure they are spending state money well. But charter schools need time to show what they can do for Washington kids. Another lawsuit is an unwelcome distraction from the real education work that must be accomplished during the next legislative session. Editorial board members are editorial page editor Kate Riley, Frank A. Blethen, Ryan Blethen, Donna Gordon Blankinship, Brier Dudley, Mark Higgins, Jonathan Martin, William K. Blethen (emeritus) and Robert C. Blethen (emeritus).